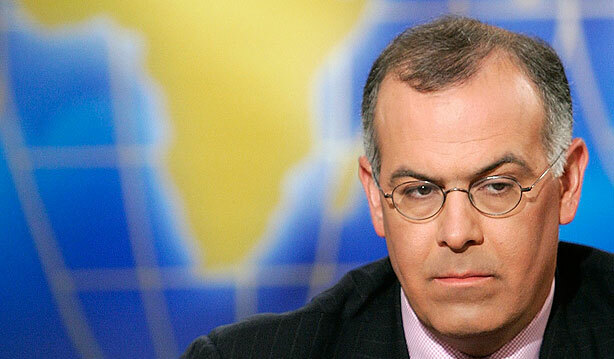 In the nasty wake of Republican Governor Pence making it legal to discriminate against the LGBT community (which Presidential wannabes Ted Cruz and Jeb Bush have both applauded), we have been admonished by his holiness, White Hetero David Brooks, shining his beacon from atop his throne at The New York Times. While I have never been a fan of Brooks, I used to think of him as being at least a quasi rational conservative, albeit one who never quite understands his position of power and privilege as a white heterosexual man in the United States. Apparently our uniting and proclaiming that we will not be considered second class citizens was enough to cause Brooks to clutch his pearls and grab his smelling salts. Sadly, Brooks’ latest diatribe does not even bother to include transgender people, or bisexual people. Brooks has missed the civil rights bus at several stops. First, NO, the law passed in Indiana is not “just like” the 1993 Religious Freedom Restoration Act. That Federal Law and the 18 state laws actually modelled after it have their own problems — just look at the recent Hobby Lobby decision irrationally referencing RFRA — but are fundamentally different from the Indiana hate legislation. RFRA prohibits government action from interfering with the faith of individuals. Indiana — just like Arkansas, North Carolina, and Georgia if they are foolish and bigoted enough to follow suit — allows individuals to use their personal beliefs as a weapon against other individuals, refusing services and goods. That is absolutely not the same, something a man with Brooks’ education and background ought to clearly understand. Instead, the argument seems to be that the federal act’s concrete case-by-case approach is wrong. The opponents seem to be saying there is no valid tension between religious pluralism and equality. Claims of religious liberty are covers for anti-gay bigotry. While I would never have claimed you as an ally of the LGBT community, I do fear you are working against us, and this editorial certainly commits great trespass, for which I’m fairly certain you will neither reflect upon, nor make any attempts at repair. Like many of your contemporaries, older, white, heterosexual males, you seem to be driving the train to irrelevance in the 21st century world. This is not what I would want, for I truly believe there is room for us all, however, the onus to get up to speed and become more inclusive is on you, not those of us who are targeted, marginalized, and have disproportionately less power. One should note, the Anti-Violence Project has reported that the homicide rate against the LGBT community is up exponentially in 2015. Looking at this through a lens of social justice, I would add that people of color who are also LGBT often have even more at risk, thus I have to bring up the issue of race, as race and misogyny are always inextricable from the conversation. Mr. Brooks, your aimless, thoughtless piece puts the blame on the victims, wondering why we have to push so hard to make ourselves heard. Your own deafness should answer that question for you. As a Jew Mr. Brooks, what happened to tikkun o’lam? Your behavior along with this editorial do nothing to help repair the world.